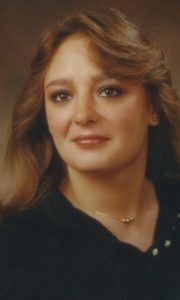 Mrs. Melinda Jolyne Hubbard of Campbellsville passed from this life on Sunday, April 7, 2019 at her home after an extended illness. Born on July 25, 1965 to the late Kenneth Amuel Hubbard and Judy (Cox) Hubbard Allen, she was 53 years, 8 months, and 13 days of age. She was an employee of the Campbellsville Fruit of the Loom plant until physical disabilities forced an early retirement. Early in life, Mrs. Hubbard made a profession of faith in Christ. She was baptized in the Fairview Baptist Church and later attended the Eastside Baptist Church. She had a knack for seeing beauty in everyday items, and her talented creations will be dearly missed. She was also preceded in death by a brother, Anthony “Tony” Hubbard. There will be a funeral service to honor the life of Mrs Hubbard on Wednesday, April 10, 2019 at 2:00 PM in the chapel of the LR Petty Funeral Home, Campbellsville, KY. Burial will follow in the Jones Chapel Cemetery. The family will receive friends at the funeral home on Wednesday, April 10, from 10:00 AM until time for the service. truly read something like that before. So good to find somebody with a few genuine thoughts on this subject.